Usually when I hear "gluten free" in the name of any dessert it's a total turn-off. I've eaten a few gluten free baked goods and spit them right back out. I always want to cry for anyone who says they have gluten intolerance because they miss out on wa lot of amazing desserts I could not live without. However, I can't spend all my tears on these sad realizations and being a "fixer", I had to fix this situation. So I decided to challenge myself and trek to the ends of the earth to find THE best gluten free dessert so that my gluten intolerant friends can enjoy a dessert of mine. And by "trekking" I mean "Pinterest-ing". Some recipes were boring. Pudding? Anyone can do that. Gluten free breads requiring a million types of flour substitutes that I never knew existed and sound scary/gross? No thanks. 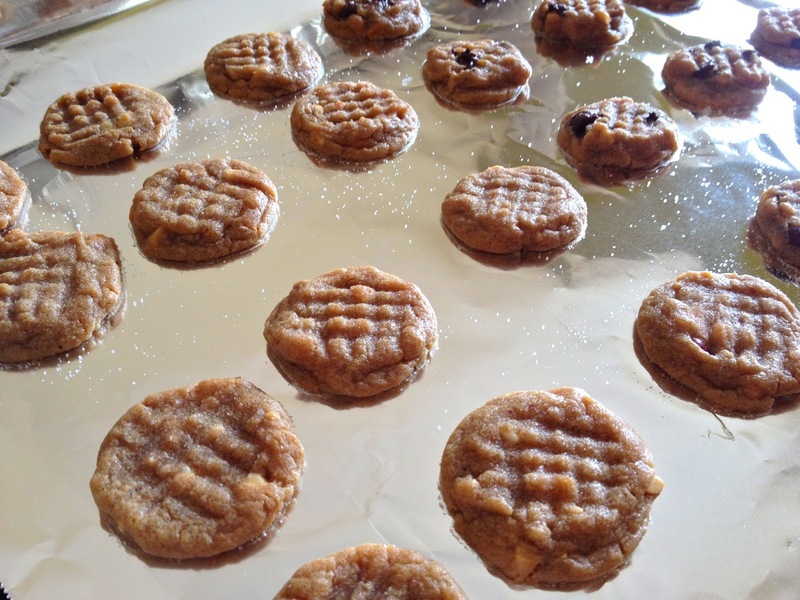 Peanut butter cookies that require only THREE ingredients? YES please!! Match made in heaven. 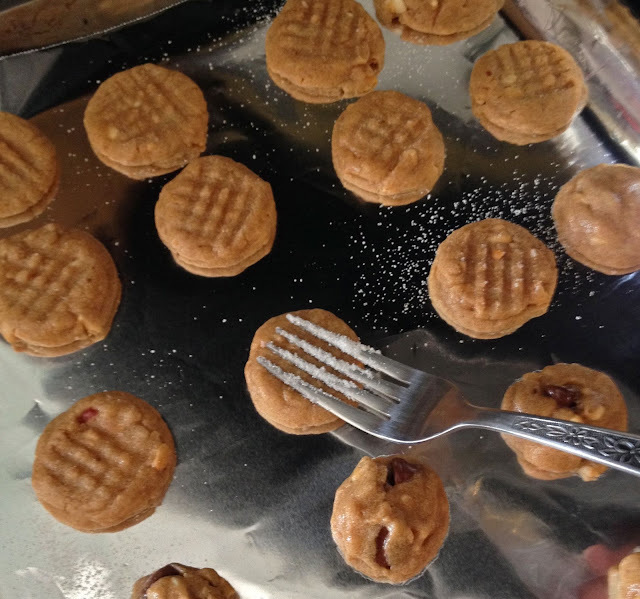 It took me a couple tries before I got these perfect & I had to add a couple ingredients, but I am so happy with the result & I hope anyone who is or isn't gluten intolerant will enjoy these with me! Preheat oven to 350 deg F. Prepare a baking sheet by covering it with foil. In a medium mixing bowl mix peanut butter, brown sugar, egg, baking soda, cinnamon and optional chocolate chips with a fork until mixed well. Cover dough tightly and place in the fridge for at least 30 minutes. 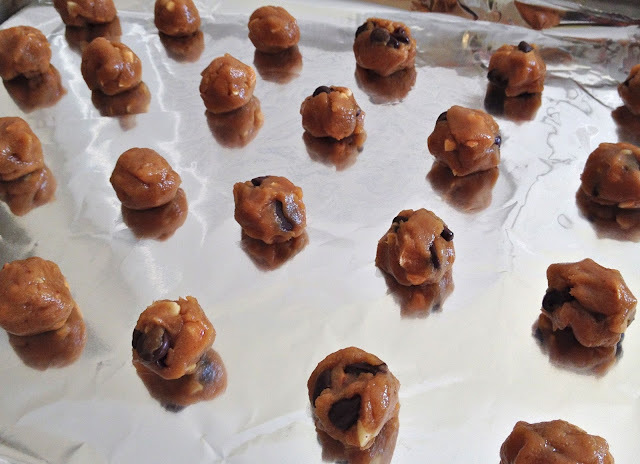 When ready to bake cookies, remove dough from fridge. Roll dough into 1-1.5 inch balls. Make sure they are no bigger than 1.5 inches. Do not flatten dough. 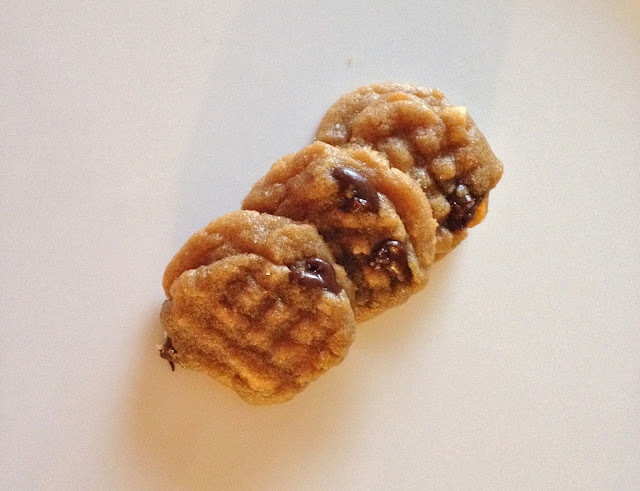 Remove cookies from oven and let them cool COMPLETELY before moving them because they will fall apart if they are still warm. Hope you enjoy these gluten free delights!